At the heart of Lye’s career is his acclaimed body of work for Britain’s General Post Office (GPO) Film Unit. These short film advertisements represent some of the most innovative production techniques ever applied to film, with vivid hand-painted imagery, jump-cut editing and synchronised to popular tunes of the day. 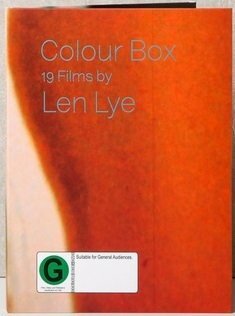 All four GPO films are included in Colour Box: 19 Films by Len Lye – the titular A Colour Box (1935), Rainbow Dance (1936), N or NW (1937) and Trade Tattoo (1937). The DVD presents these and other 1930s animations alongside early stop-motion films Experimental Animation (1933) and Birth of a Robot (1936). Several lesser-known films appear in restored form, including Life’s Musical Minute (1953) and the majestic All Souls Carnival (1957). 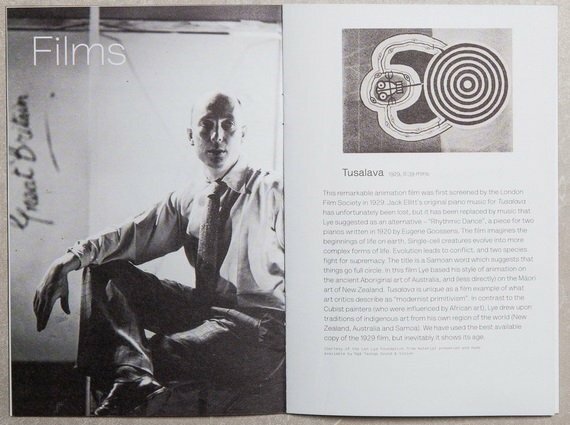 This DVD project is a collaboration between Govett-Brewster Art Gallery/Len Lye Centre, Ngā Taonga Sound and Vision and the Len Lye Foundation, and was assisted by the Technix Group Ltd and the Stout Trust.